The journey of Hoveround began more than 23 years ago to improve the quality of life for people with restricted mobility — by bringing forth solutions that allow people to regain their independence and remain aging in place. The No. 1 reason Hoveround is different? Because Hoveround manufactures, sells AND repairs our power wheelchairs. No one else can say that! Unique Round for a Reason® design for more mobility. Before Hoveround, there were no products with a chair that could maneuver well down the hallways of a mobile home or retirement homes. The Hoveround Power Chair was designed with a round base, instead of a rectangular base, to be able to fit placesget around corner and tight spaces in the home more easily. Customized Mobility and Comfort. Did you know your Hoveround is customized just for you? We make sure it fits you for maximum comfort and support, and we’ll measure your home to make sure your Hoveround Power Chair fits there as well. Hoveround controls manufacture and design. We have total responsibility and are accountable for the quality and reliability of our products. You can only get a Hoveround from Hoveround. We’ll deliver your Hoveround directly to you, eliminating any hassle or inconvenience from dealing with middlemen. Hoveround is accredited. Hoveround received its 5th reaccreditation from the Joint Commission and once again received the Gold Seal of Approval. Hoveround also has been certified ISO9001 and ISO13485 by demonstrating the highest level of excellence in the design, manufacture, delivery, distribution, and service of motorized wheelchairs, scooters and mobility related products and accessories. Affiliated with reputable organizations. Hoveround has an affiliation with the following organizations dedicated to professional excellence in the fields of mobility education, assistance and treatment as well as quality manufacturing, process and systems: American Association of Homecare (AAH); Rehabilitation Engineering and Assistive Technology Society of North America (RESNA) with numerous ATPs on staff; and a Better Business Bureau AAA Accredited Member. We’re committed to YOU. Hoveround is committed to serving the mobility needs of our clients by providing state-of-the-art innovations and best-in-class service. We’re also continually researching new and better ways to enhance quality of life so you can remain aging in place. Hoveround is there for you every step of the way to help you regain your mobility with a power wheelchair, mobility scooter, stair lifts, and more home safety solutions to help you remain aging in place. 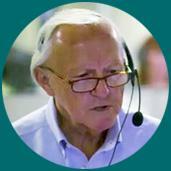 Call our mobility specialists at (800) 542-7236 and order your FREE informational DVD today!